Sometimes I think that the most apt way to describe my new home is that it’s a playground for people who love being in nature. If you’re into anything outdoorsy there’s so much to do here; walking, climbing, swimming, sailing, diving… and in winter, skiing. There are no snowsports on Skye unless you fancy lugging your skis up a hill and praying that you don’t hit a boulder or a bog on your way down. However, there are lots of ‘proper’ resorts just a couple of hours drive away such as the Cairngorms, Glencoe or Glenshee. 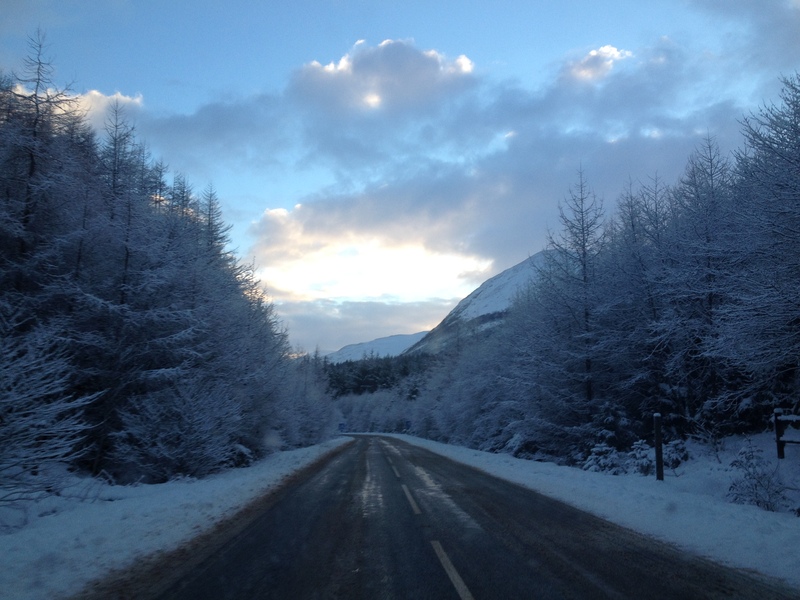 The Nevis Range is my closest resort, about a three hour journey from the North of Skye, just on the edge of Fort William. I adore skiing; every time I step outside onto snow, breathe in the icy air and hear that familiar crunch I get a yearning to be on the piste. It’s a weird craving but I don’t think I’m alone in feeling it. So, when I noticed a couple of empty days on my calendar I decided to grab the chance and take myself off for a day or two to Nevis. To get a full day on the slopes I decided to check into my hostel the evening before. 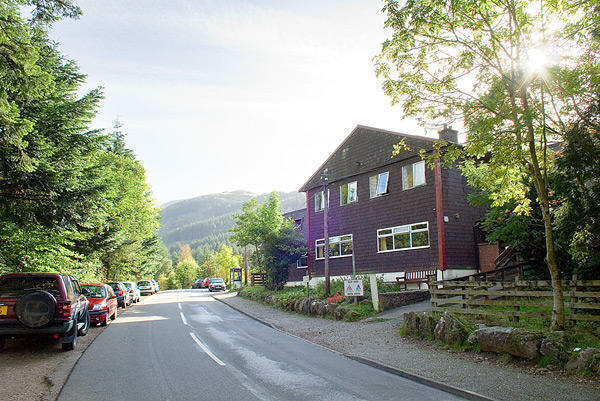 I’d booked a night at the Glen Nevis climbers’ hostel owned by SYHA. I’d just like to say a bit about the SYHA organisation because I think they’re fantastic. I used them almost every night when I travelled round Scotland in 2013; scrimping a bit on my accommodation meant that I was able to splash out on Michelin-starred restaurants without worrying about costs. Okay, so they’re not exactly luxurious, they are hostels of course, but each facility is clean and well-equipped, they’re in some incredible locations and their staff are fantastic sources of local knowledge. Whilst some of their buildings are, others are old converted schoolhouses, loch-side hunting lodges or even UNESCO Heritage Sites. I really can’t recommend them highly enough. I had a bit of admin to do before leaving Skye which meant that it was dark by the time I crossed the bridge. This wasn’t a problem until I neared the Cluanie dam where the roads wind around the hillsides over the deep, half-frozen lochs below. Suddenly the clear night sky turned white and I was in the middle of a blizzard. 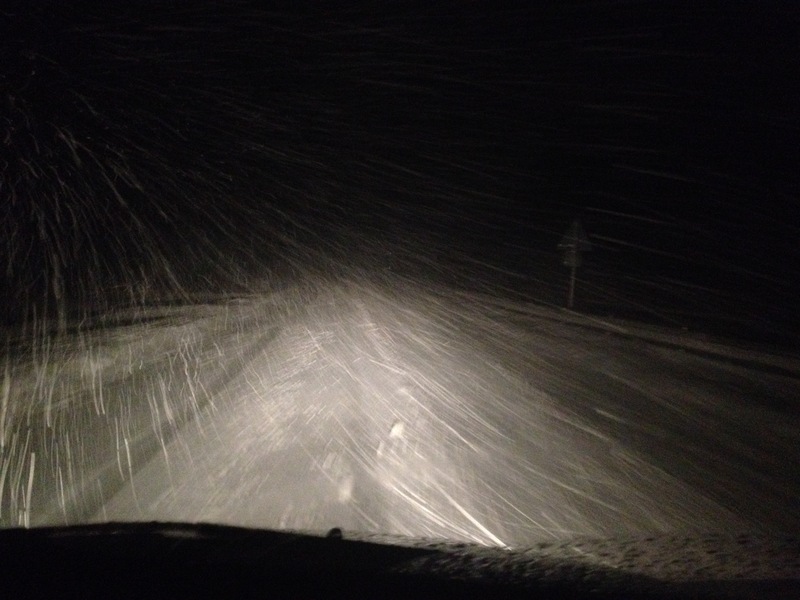 Within minutes the tarmac was covered in inches of snow and, despite crawling at a snails pace, I found I could barely control the car. I was just over halfway to Nevis; do I turn back, continue forward or pull over and stop altogether? I continued on with my shoulders up round my ears, muscles rock-solid with tension. I tried as hard as I could to forget the stories I’d read in the local paper before Christmas about people veering off the road and drowning in the lochs below. I kept my windows wound down just in case. Driving at 15-20 mph I thought it would take me all night to get there. A couple of times I pulled over to let another car overtake only to find them further down the road having skidded off to the side. As I noticed the drivers talking furiously on their mobiles and I thought of the tortoise and the hare! 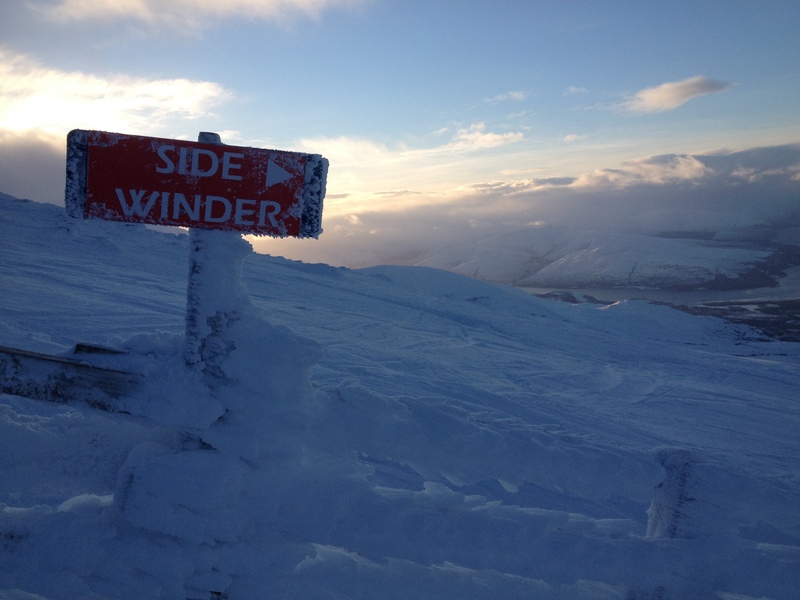 The Nevis Range was particularly busy on Sunday because they had a special anniversary offer on. It was a bargainous £12.50 for a day pass, apparently the same price they were sold for in the 80’s. With equipment hire it still came to less than £35 for the whole day. This meant that there were more visitors than usual but to be honest it wasn’t any more crowded than an average day in any European or American resort. It must also mean that on quiet days, weekdays perhaps, you can have the pistes almost to yourself. Whilst there isn’t the atmosphere or scale of a large Alpine resort, it was surprisingly good skiing. Though when the signs at the top of the lifts say to watch out for natural hazards they really aren’t kidding -I had to narrowly swerve more than one massive water hole on my way down. Perhaps this isn’t great place for anyone partially sighted! 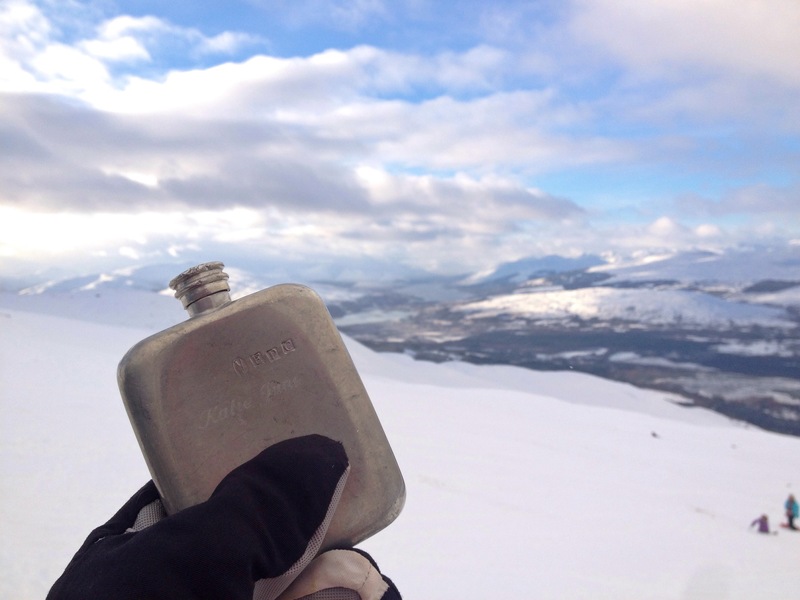 I mentioned this to a local instructor I shared a T-bar with, a hairy young guy that smelled strongly of woodsmoke. He laughed and said that the odd tumble down a hole or over a rock is what made the area more interesting. That’s one way to look at it I suppose! 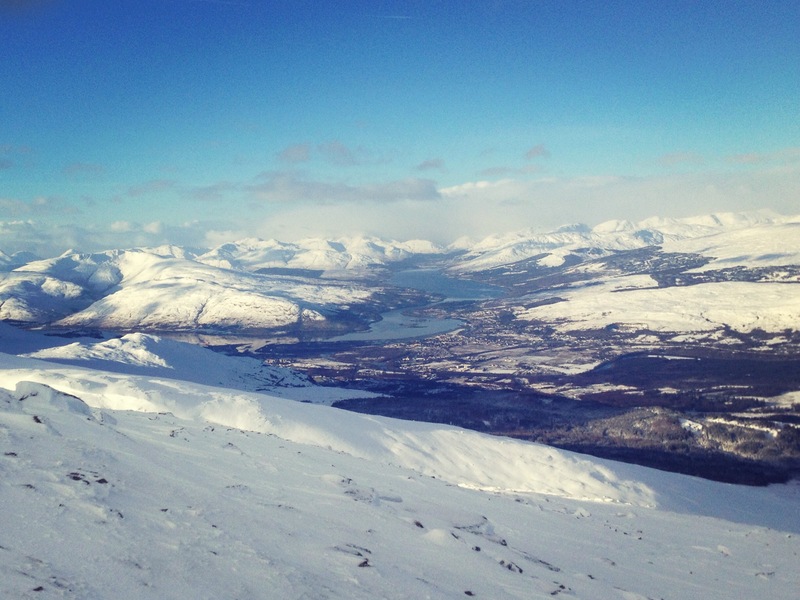 I was lucky enough to have chosen to ski on a bluebird day and the views over Fort William were extraordinary. It was so clear that every now and again you could even see the island of Eigg in the far distance. You can tell it’s not a wealthy resort, the visitors are mostly locals, but what it lacks in shininess it more than makes up for with the landscape. I took the opportunity to take a couple of pictures; one for my Grandpa who’s currently recovering from his third hip replacement (this is a replacement replacement, he doesn’t have three legs!). 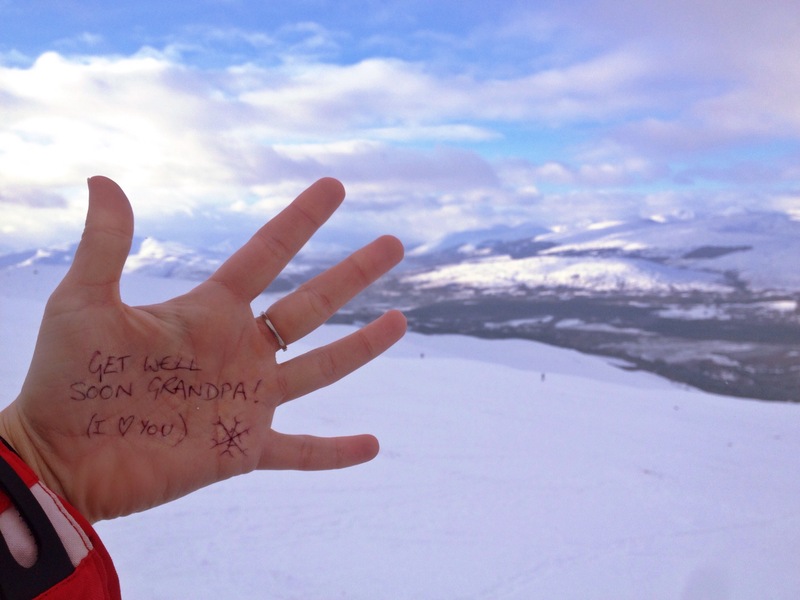 He skiied in Scotland back in his army days so I was thinking of him twofold up there. 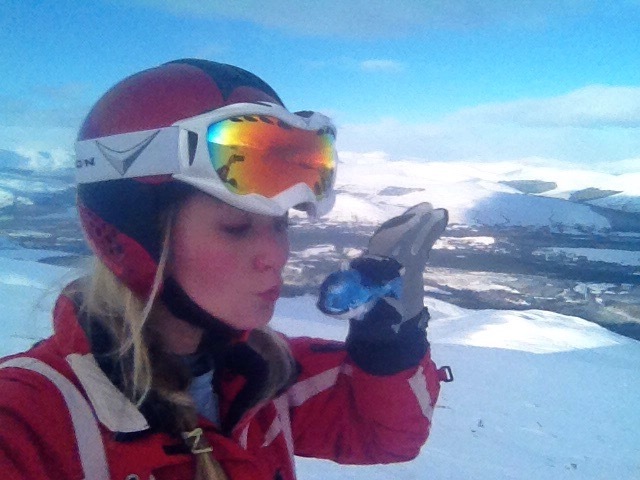 I got a few funny looks pretending to kiss a sparkly whale Christmas decoration at the top of a mountain! Whilst I’ve enjoyed my own company for most of my adventures up here, I think I’ve finally found something which I think would have been better with friends. Yes, being alone is a chance to really concentrate on technique but there’s something about having a laugh with a group of mates that makes skiing extra fun. It wasn’t ‘not fun’ it just wasn’t ‘as fun’. That said, I did make a few friends on the gondola and chair lifts up; a couple of sea kayak instructors from Wales became my lift buddies for the morning. I also learned here what most 7 year-old know to be true, that sharing a packet of Love Hearts can do wonders for popularity! Still, the end of the day came too quickly, though the sunset cast a beautiful soft mauve light over the emptying mountainside. I treated myself to a hot chocolate with marshmallows and cream whilst I watched it and waited for the gondola queues to shorten. Too exhausted to face another night-time blizzard I checked in for another night at the hostel. I fell asleep fully-clothed and face down on the bed where I had an incredible dream about being a record-breaking winter Olympian. Unfortunately I think it’s going to take more than one day here at Nevis to get to that..! The week before I planned to leave for Skye was probably the busiest I’ve had all year. A multitude of family birthdays, work meetings and social events meant that some days were literally planned down to the hour. Getting everything done and everyone seen before I left meant that packing was pushed to the wayside until the day before I was due to go. Luckily, not knowing where I’d be or what I needed meant that it didn’t take long to pack up the car. Anything I’d forgotten could be sent on or bought later. Leg 1: Chiddingfold to New Lanark, 7 /12 hours. Leg 2: New Lanark to Skye via Fort William, 5 1/2 hours. Apart from one moment when I passed through the Lake District and the sun began to set. Some characteristically moody song by London Grammar came on the radio as the pelting rain began to let up. A deep amber light washed across the landscape and a rainbow appeared above the carriageway. It was a bit silly but it was a beautiful moment. It hadn’t hit me until then that I was embarking on quite a big adventure. 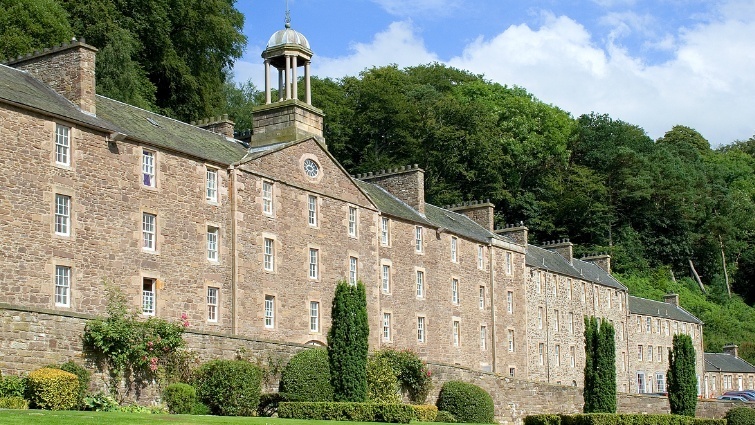 It was dark by the time I got to my overnight stop, the working village of New Lanark. It’s an incredible place, an old cotton mill settlement that’s now a UNESCO Heritage Site. I was up early the next day to travel through the Trossachs to Fort William. Yesterday’s drive was dull and grey but this one took me through dramatic scenery, along lochs and through glens. I had to work hard to concentrate on the road when my eyes wanted to follow the sweeping slopes of the hills up into the clouds. 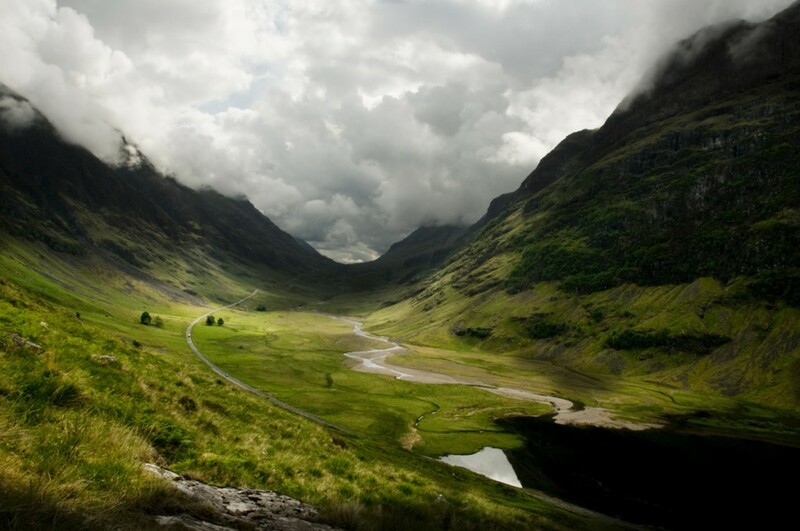 Driving through Glencoe and then the Great Glen is surely the most wonderful way to be introduced to the Highlands and Islands. After a couple of hours I’m driving over the bridge to Skye from the Kyle of Lochalsh. The island welcomes me with characteristic grey drizzle, a moody hello. It takes an hour to drive to the main town of Portree and I scope out every business and road sign in case it comes in handy later. The signposts and caravans gradually give way to greenery and rocky coastlines as I push further North until I arrive at the harbour. So, this is home.